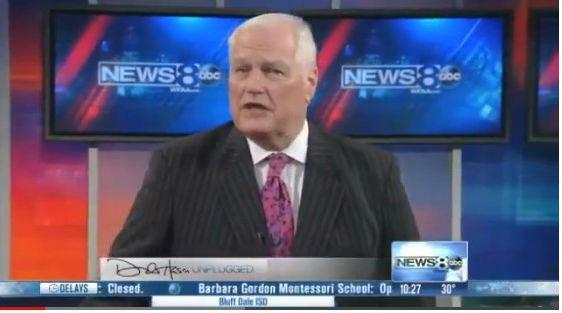 Dale Hansen didn't know what "going viral" meant until one of his commentaries did. The Dallas Cowboys' signing of Greg Hardy, suspended last year after a domestic violence conviction, fed a national conversation about domestic abuse. 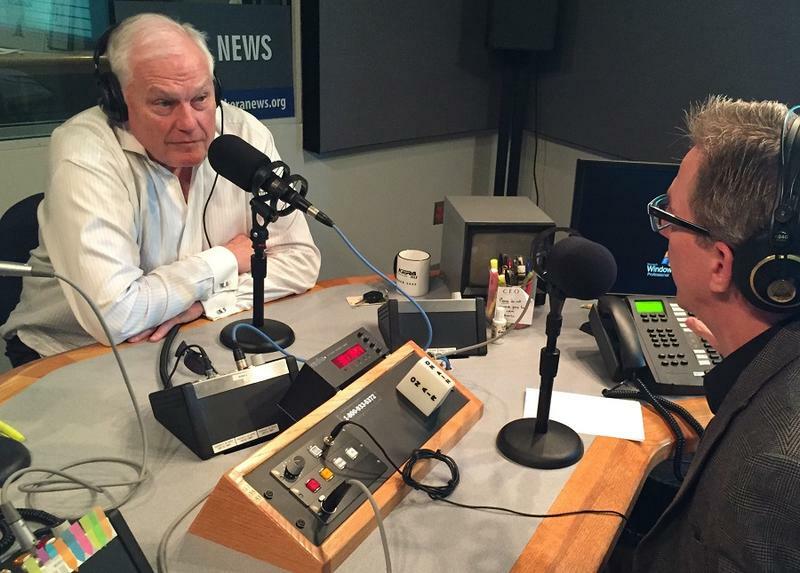 And one of the strongest voices came from a TV newsroom just down the street from KERA -- sportscaster Dale Hansen. Hansen blasted the Cowboys' decision. “Just when I begin to think the Cowboys can't possibly sink any lower, they can't fall from grace any more than they have, they find another shovel and dig a few feet deeper,” Hansen said on one of his recent commentaries. 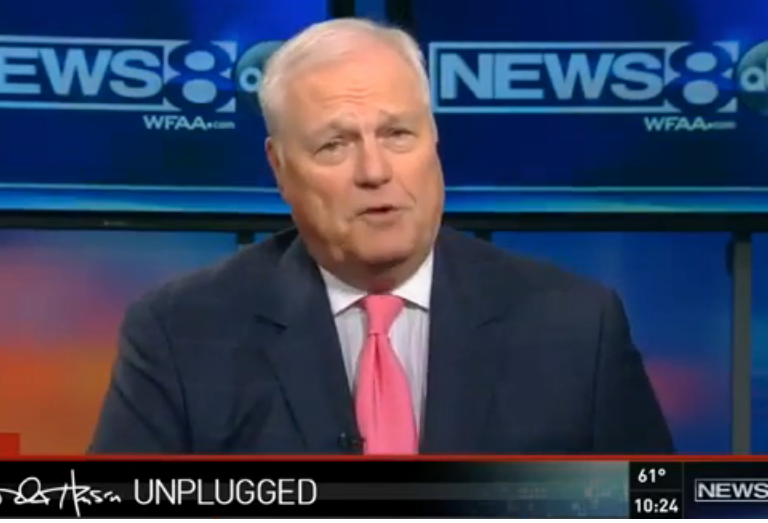 WFAA's longtime voice of sports has been going “Unplugged” in commentaries for several years now – a year ago, his defense of the NFL’s first openly gay player, Michael Sam, was seen by millions on YouTube. Hansen stopped by the KERA newsroom to talk about how he's become a viral sensation. After the Michael Sam commentary, Hansen appeared on The Ellen DeGeneres Show. Then Hansen’s commentary was auto-tuned. But, as North Texan TV viewers know, Hansen was a big deal even before his Sam commentary. Leave it to BuzzFeed to explore the anchor’s long history in North Texas. Five stories that have North Texas talking: Dale Hansen has a passionate response to the Michael Sam debate, how the drought is affecting our barbecue, a sequel to "Disney Hipster Princesses," and more. Five stories that have North Texas talking: Dale Hansen sounds off on the Dallas Cowboys signing Greg Hardy; the controversial Trinity Parkway project continues to be controversial; how a single accident can create a traffic headache for thousands; and more. 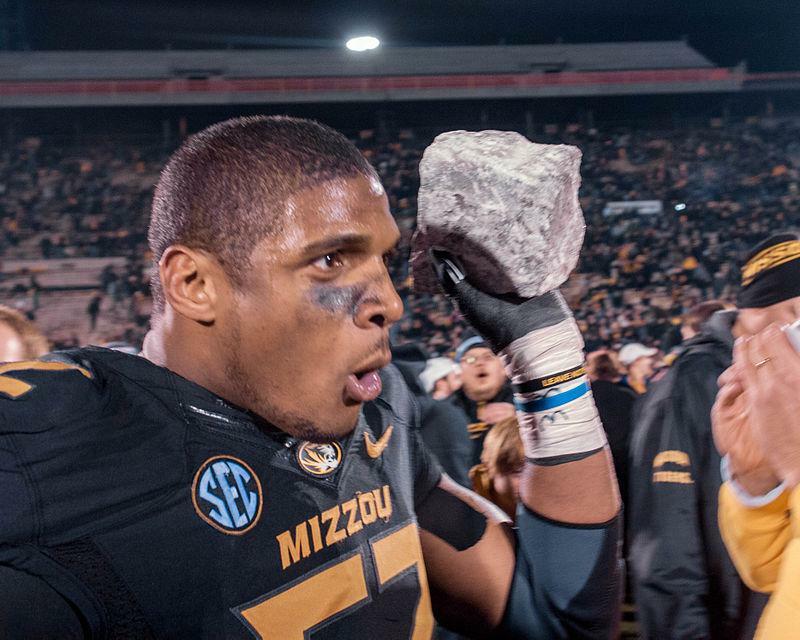 Michael Sam's second chance will come with America's team.